Which GPS alarm would you like to know more about? We offer the opportunity to try our services, please contact us for more information. 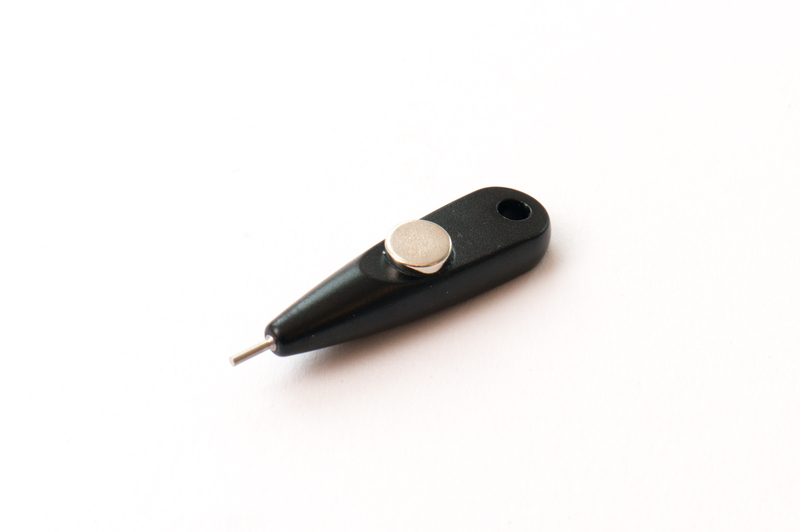 MiniFinder Pico® is a swedish designed GPS alarm and mobile security alarm. MiniFinder Pico is as the name suggests a GPS safety alarm in a small size. Unique design and perfect size make it ideal as a social alarm that works outside your home. Advanced technology can be found behind the shell, enabling both fast and reliable positioning. The distinctive feature of this device, in addition to the design and size, is its battery life and performance. 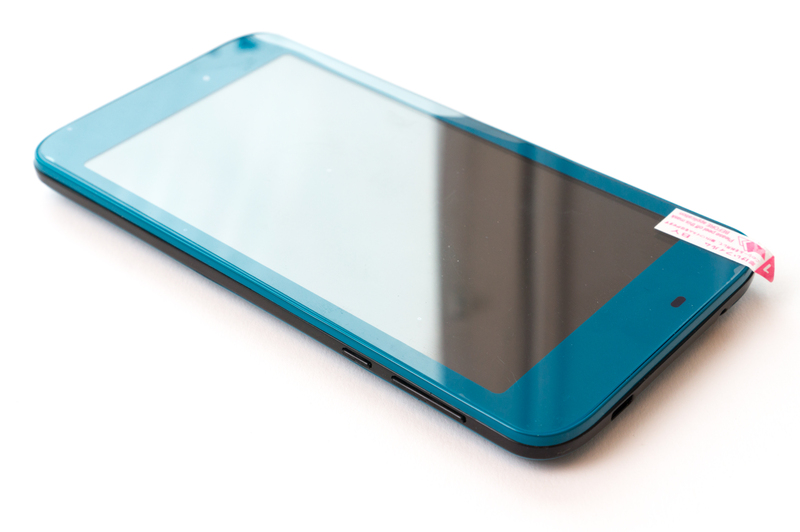 In the standby mode, the battery can last up to 20 days. In the normal working mode, it will last between 3-7 days. 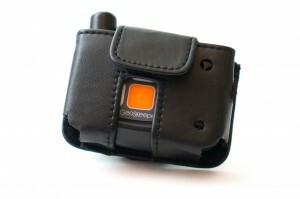 MiniFinder Pico is not only a GPS tracker, but also a safety phone. The decide supports two-way communication. You can call to your MiniFinder Pico, but also call from it to one or more preset phone numbers. 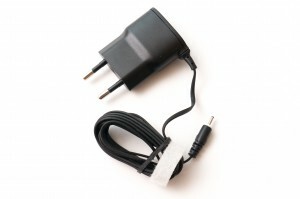 Additionally, the device contains a fall sensor that can detect a fall and send out an alarm completely automatically. MiniFinder Pico is available in several colors to make it easy for you to find a device that suits the needs of you and those close to you. The colors available are Black, Blue, Green and Pink. MiniFinder Pico is integrated and offered together with our portal PosifonCare, an easy-to-use GPS alarm operating system. All features and settings are made in the portal, where all our models of GPS alarms are integrated and work together in a simple and efficient way. All settings can be altered remotely and then transferred to the device via the mobile network. The system is built along with eight active municipalities with a focus on enabling large-scale use, to assure quality of alarm actions, and to ensure that all our users of GPS alarms get the help they need and deserve. Do not hesitate to use the device that best suits the individual need. Get in contact with us for price inquiries. Posifon Active is a GPS alarm with a digital watch and an alarm button. Active is designed like an activity bracelet, it is waterproof so you could wear it while taking a shower or going for a swim. 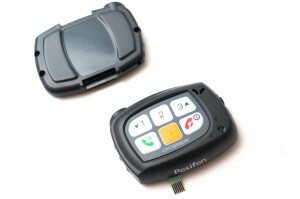 Posifon Active is a discreet GPS alarm and is available in two colours: black and beige. Active is designed for the active and has a built-in alarm button in the display. A digital watch will appear by gently pressing the screen of the unit. By clicking once more, you will access information about your Active’s current battery status. If you press and hold the screen for more than five seconds, an alarm will be activated which is followed by a two-way communication possibility. When the alarm gets activated, you will be notified by both visual and audio feedback. Posifon Active is best suited for those with an active lifestyle. It also suits those who do not want to be surveilled by others: the alarm will only be activated on the user’s own terms. Posifon Active can connect to small Bluetooth stations which could be used for indoor positioning. When Active connects to these Bluetooth units, your Active will go into battery save mode. These Bluetooth units do not require any power supply, they have a built-in battery which lasts for approximately three years. You could strategically place these units all over your home, each unit can be tagged with a text message (e.g living room, kitchen etc.). This text message information will be included if you activate the alarm in a certain part of your home. Posifon Active is integrated and offered together with our portal PosifonCare, an easy-to-use GPS alarm operating system. All features and settings are made in the portal, where all our models of GPS alarms are integrated and work together in a simple and efficient way. All settings can be altered remotely and then transferred to the device via the mobile network. The system is built along with eight active municipalities with a focus on enabling large-scale use, to assure quality of alarm actions, and to ensure that all our users of GPS alarms get the help they need and deserve. Do not hesitate to use the device that best suits the individual need. 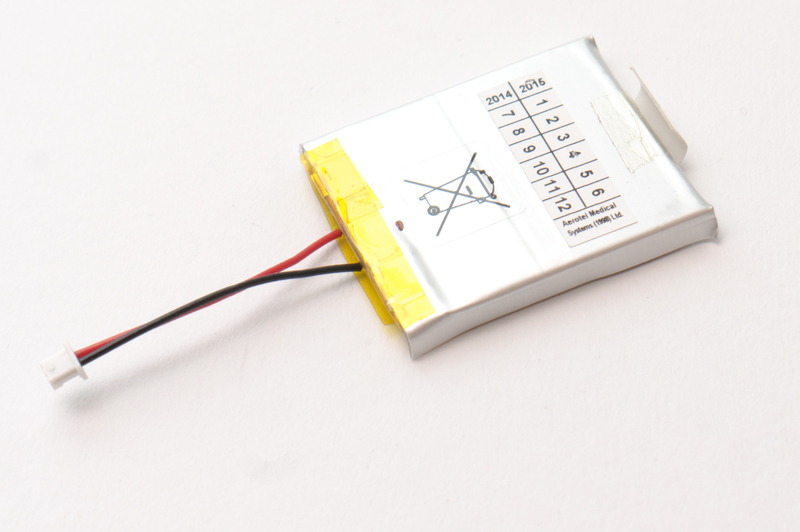 Size and weight: 36 x 60 x 14 mm / 52 g.
Communicates via the mobile phone network (GSM and GPRS). A battery that lasts up to three weeks. Posifon Keruve provides the option of keeping your old watch but to also carry a GPS alarm on your wrist. Your family or friends can search for your positioning or recieve messages should you leave a predetermined safety are. Your family or friends will manage this from a connected unit, our from our portal. There is also an option of ordering a Keruve watch specially adjusted to your needs. Contact us and we will tell you more. Thanks to the GPS module being placed in the wristband you can use Posifon Keruve with your favourite watch, by just swapping wristbands. An elegant clockwork is included if you did not own a watch previously. Through its design and functionality the Keruve is a discrete GPS alarm that invites you to use it. 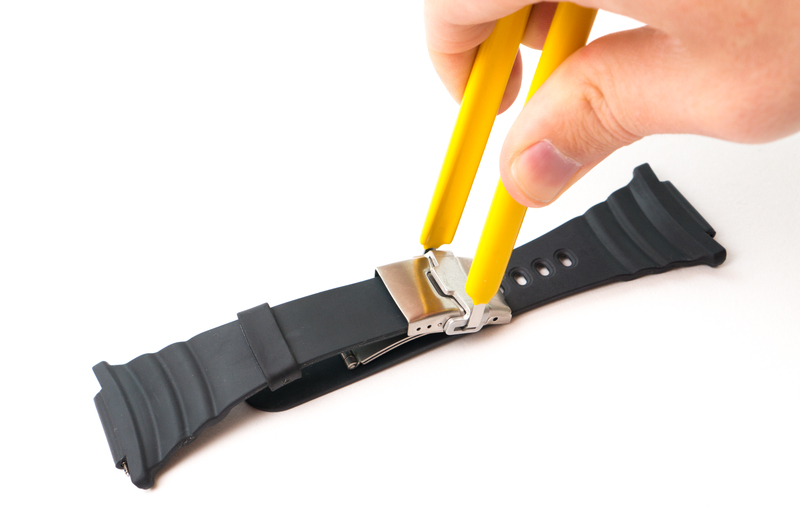 The unit is switched on and off with a special tool, which is also used to open the wristband. The unit is waterproof and is also offered in other designs. For the Keruve you can purchase a single connected unit as an add-on. This will give friends and family easy access to the most important functions. This makes for the ideal alarm system for the family who may not use a computer frequently or for a person in residental care. Keruve is integrated and offered together with our portal PosifonCare, an easy-to-use GPS alarm operating system. All features and settings are made in the portal, where all our models of GPS alarms are integrated and work together in a simple and efficient way. All settings can be altered remotely and then transferred to the device via the mobile network. The system is built along with eight active municipalities with a focus on enabling large-scale use, to assure quality of alarm actions, and to ensure that all our users of GPS alarms get the help they need and deserve. Do not hesitate to use the device that best suits the individual need. Size and weight: 38 x 45 x 16 mm / 36g. Four positioning systems for the best possible positioning in every situation. Communicates via the mobile phone network. Different colors and models available to choose from. Battery life for ut to 3.5 days. Size and weight: 144 x 82.5 x 19 mm / 141 g.
Large screen and text to make reading easier. Communicates with the Keruve watch using the mobile phone network and Wifi. The connected unit will display an alarm with sound and image. Battery life for up to 2 days. Posifon GPS Smartsole is a GPS alarm that is placed in your shoes. It is activated when the user is in motion and will alert family, care personal or an alarm central if the person in question is moving outside a predetermined area. The sole is a discrete way of providing tracking opportunities for those who may not remember to- or may not wish to carry a phone, wristband or pocket unit. With the GPS unit placed in the sole of the shoe, the user is not wearing a visible alarm that can be disruptive or be taken off. If the shoes are being used then the alarm will always be there. The only necessary action is to place the sole back in the shoes after it has been charged. With Posifon GPS Smartsole, being active is easy and the sense of freedom is not being compromised. Posifon GPS Smartsole is always switched on and has an energy saving mode for a long battery life. A warning will be sent out when the battery level is low. The charging is wireless, the sole is simply placed on the charging unit. When the sole is not in use it will enter resting mode and as soon as it is set in motion it will be activated and resume localisation. Since all electronic parts are encapsulated within the sole, the risk of damage to the unit is minimal. It picks up on changes in direction and speed, registering positioning at suitable times. The unit is water resistant and created for the environment that a shoe would normally be used in. Posifon takes pride in adapting to the ethical aspects of using GPS technique, please see our ethical guidelines. If a GPS SmartSole is to be used when caring for people with dementia, or as support in daily life for people who may struggle with the ability to make decisions, we would like to request that a carer evaluate if the user will be aware that he or she is carrying a GPS unit, and what effects this may have. 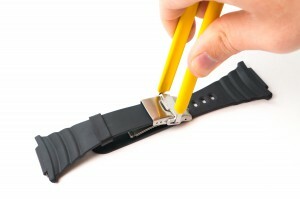 Units that are carried around the neck or on the wrist opens up the possibility for a more active consent. On the other hand, we see no difference between carrying a GPS alarm in a bag, in a pocket, on a keychain or on a walking frame. Accordning to us, the most important aspect is that the user of the alarm can live an independent and active life for as long as possible. The usage of a GPS alarm is often the smallest action to secure safety and freedom. Smartsole is integrated and offered together with our portal PosifonCare, an easy-to-use GPS alarm operating system. All features and settings are made in the portal, where all our models of GPS alarms are integrated and work together in a simple and efficient way. All settings can be altered remotely and then transferred to the device via the mobile network. The system is built along with eight active municipalities with a focus on enabling large-scale use, to assure quality of alarm actions, and to ensure that all our users of GPS alarms get the help they need and deserve. Do not hesitate to use the device that best suits the individual need. Currently available in sizes Small (EU 35-41), Medium (EU 39-43) and Large (EU 44-48). Wireless induction charging, the sole is removed from the shoes and charged on a supplied charging table. Will start automatically when set in motion. The battery will last for 16 hours of activity. If you walk one to two hours a day, the battery will last for approximately one to two weeks. 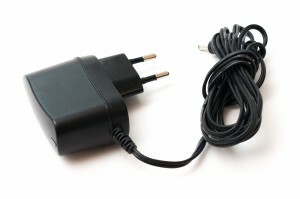 Battery saving mode that is switched on automatically when the unit is not moving gives the best possible battery time. The Posifon GeoSKeeper is a competent GPS alarm with a built in telephone function. This means that the GeoSKeeper can be used not only as a mobile phone but also as a positioning alarm with a safety area. The unit can automatically answer a call made by family or friends and the user can make calls or send predetermined messages with the click of a button. There are many possibilities and the the GeoSKeeper is flexible and can easily be adjusted to fit specific needs. Thanks to simple dialing, caller function, sms, safety zones and alarm it is possible to adjust the GeoSKeeper to every users specific needs. The functions are reached by (1) the push of a button, and are always within reach when you need to contact someone. 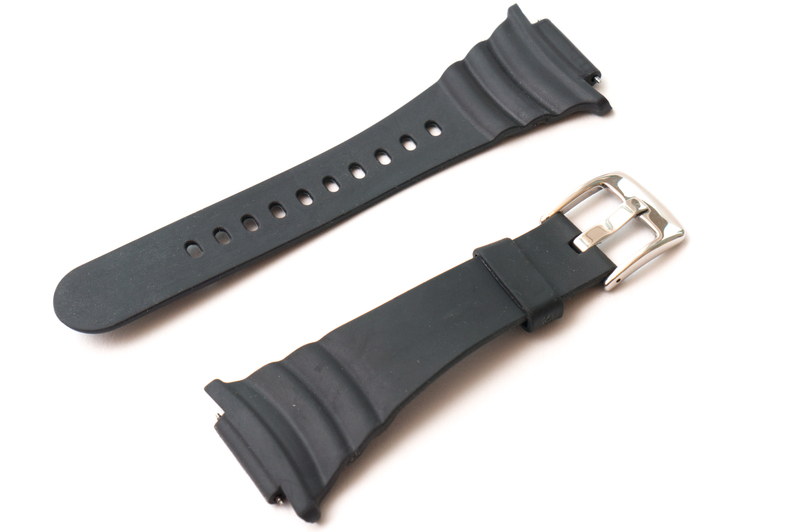 The unit can be worn on your wrist as a watch, on a strap around your neck or in a specially adjusted bag. It is water resistant to handle all types of weather (it can not handle laying in water). 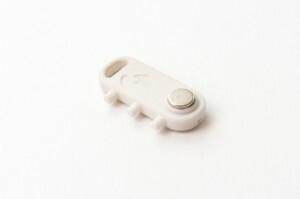 The buttons are large and clear to read and the unit is easy to use in all types of situations. GeoSKeeper provides freedom for the user. The GeoSKeeper was developed in cooperation with the hospital Karolinska and was further developed with the help of active customers and users. The GeoSKeeper is scientifically evaluated and has been used on a number of occasions to reduce the worry of friends and family of the user. It has also been used to track people who have gotten lost outdoors. GeoSKeeper is integrated and offered together with our portal PosifonCare, an easy-to-use GPS alarm operating system. All features and settings are made in the portal, where all our models of GPS alarms are integrated and work together in a simple and efficient way. All settings can be altered remotely and then transferred to the device via the mobile network. The system is built along with eight active municipalities with a focus on enabling large-scale use, to assure quality of alarm actions, and to ensure that all our users of GPS alarms get the help they need and deserve. Do not hesitate to use the device that best suits the individual need. Size and weight: 38 x 45 x 19 mm / 36 g.
An alarm button with up to 4 different alarm receivers. 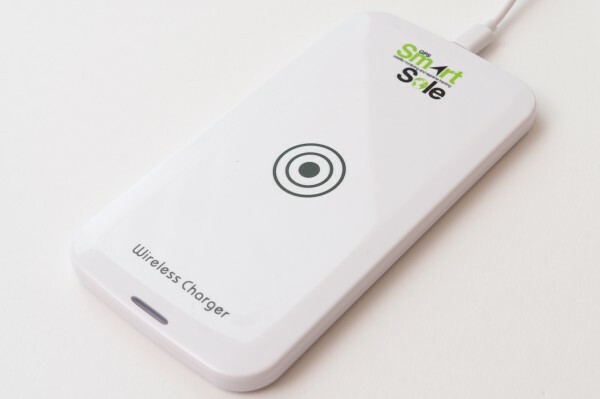 A battery that lasts for up to 90 hours, for 24 hours when using the active tracking mode (10 minute intervals).